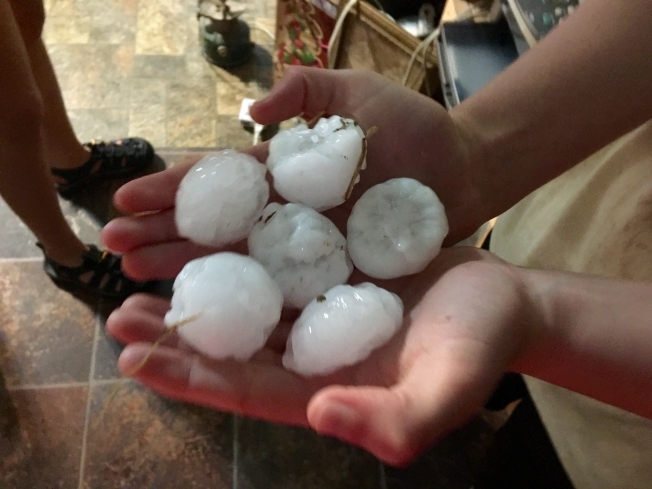 If you have hail in your neighborhood, you can expect a knock on the door this week. The NBC 5 Responds team hears a lot of horror stories that usually start out like this: A big storm came through, damaged my home and a roofer came knocking on my door the next day wanting to help. He told me I had roof damage, I signed a contract and paid thousands of dollars but a few months later I never heard from him again. The sad truth is that some contractors prey on storm victims to rip them off. If a contractor comes to your door, do not sign any paperwork that same day. Take their business card and spend the next few days researching the company. You can check reviews online, ask for references and see if anyone else in your neighborhood has worked with them. If you decide to move forward with the contractor, never pay a large percentage of the money up front.